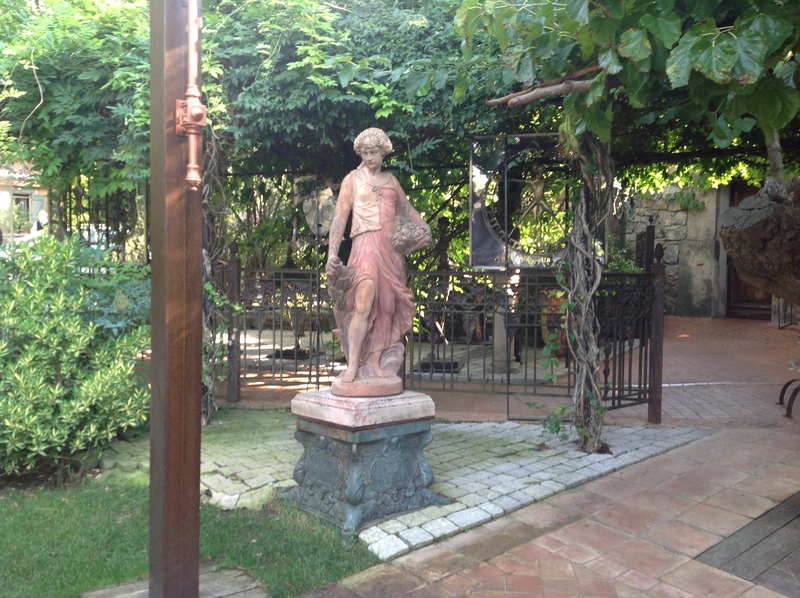 The restaurant Bruno, familiarly known as Chez Bruno, is a Michelin starred restaurant, specialising in truffles, in the centre of Var department, just outside the old market town of Lorgues. I first went to Bruno’s a few years after it opened, in the late 1980s. 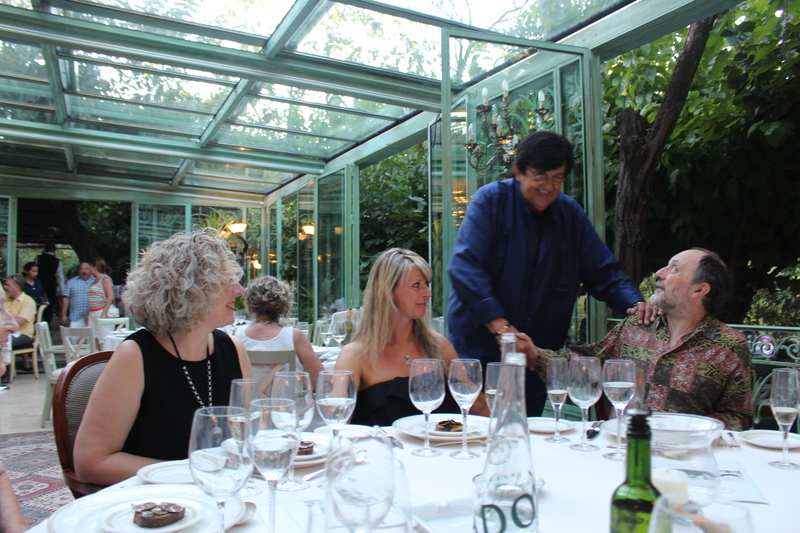 I was guiding a press and wine buyer’s trip round Provence and the Committee Interprofessionel de Vins de Cotes de Provence had organised the dinner at the restaurant. Chez Bruno, located in the old family stone farmhouse which once belonged to Bruno’s grandmother, was in those days one room only, decorated with white table cloths, white flowers, candles. It was July. It was hot. We had been visiting vineyards since early in the morning, were running late, were tired, sweaty and grubby, but my overriding memory of the evening was elegance and regret that we were not dressed accordingly. We marvelled as each new dish appeared, each flavoured with truffles. The dessert was a simple but delicious apple tart, made memorable by the youngest in our group, a 17 year-old trainee, lifting the tart off the plate and exclaiming loudly ‘No F-ing’ truffles in this then!’ Goodness knows how he would have reacted to the wonderful truffle ice cream served now between the main course and the dessert! 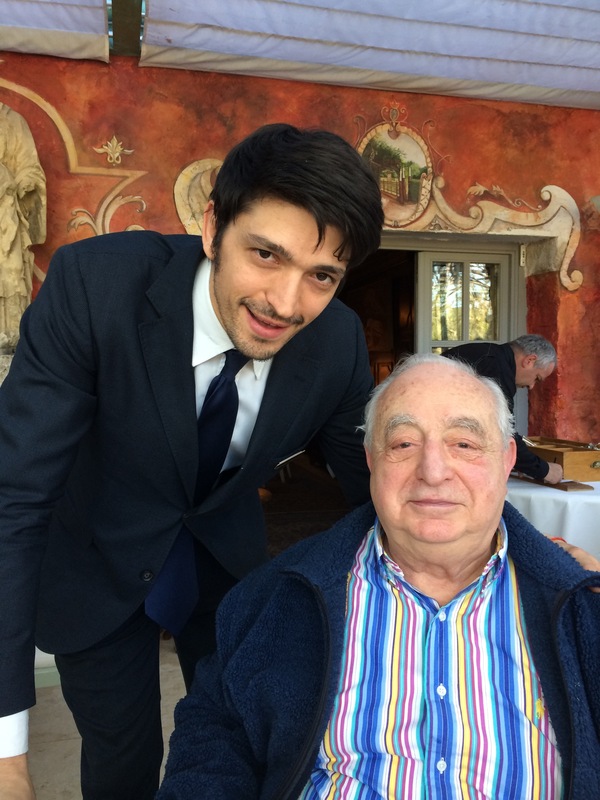 My parents had a holiday home not far away, and as soon as the trip was over (we had no mobile phones in those days), I visited them and told them of this marvellous restaurant, which specialised in truffles, that I was sure they would enjoy. 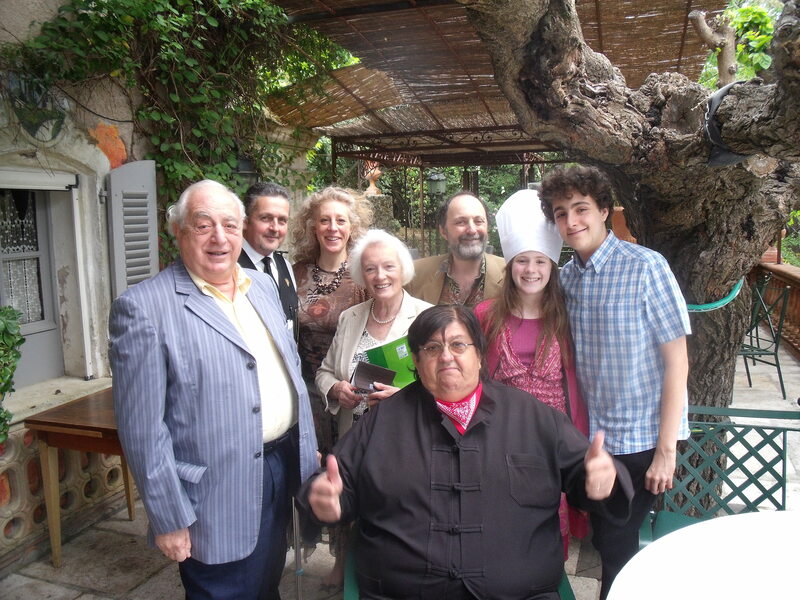 My parents went, and fell in love with the place, becoming friends with owner Clément Bruno and his wife Nicole. Over the past 30 years Bruno’s has witnessed my family’s birthday celebrations (it does help that all six of us have birthdays within two months and we have a combined celebration), my engagement, wedding anniversaries and family reunions. My 18 month old son, in 1997, found the sprinkler system mid-Sunday lunch, which Bruno thought hilarious, and endeared himself to Bruno by demolishing all the food put before him with great gusto. 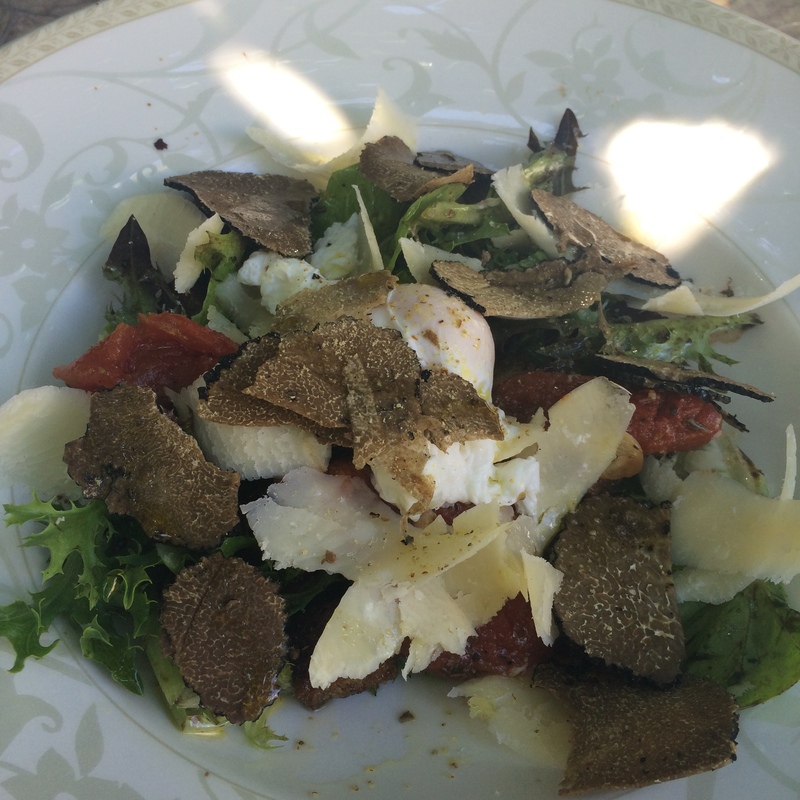 My daughter’s 2nd birthday lunch there, in 2001, made her a life long fan of ‘black bits’ after eating her perfectly creamy brouillade aux truffes (Provençal scrambled eggs with truffles). The restaurant’s signature dish of a Noirmoutier potato with a creamy truffle sauce is an essential part of every menu. My mother remains convinced that she would be happy if this was all she ever ate. Apparently the Noirmoutier potato is the most expensive potato in the world. Its official name is ‘La Bonnotte’, and under 100,000 kilos are cultivated annually on the island Noirmoutier, off the north west coast of France. The potato fields are fertilized with seaweed, which, together with the maritime climate, gives the potato a special earthy, salty flavour which matches that of the truffles. Bruno’s menu offers several different truffle menus. These include including summer truffles (tuber aestivum) which are less intense and paler, and harvested from May to August, and black truffles (tuber melanosporum) with a richer cocoa, dried fruits and earthy taste, harvested over the winter months. Both are typically found in the Mediterranean regions of France, Italy and Spain, but the quantities of truffles harvested are steadily diminishing. 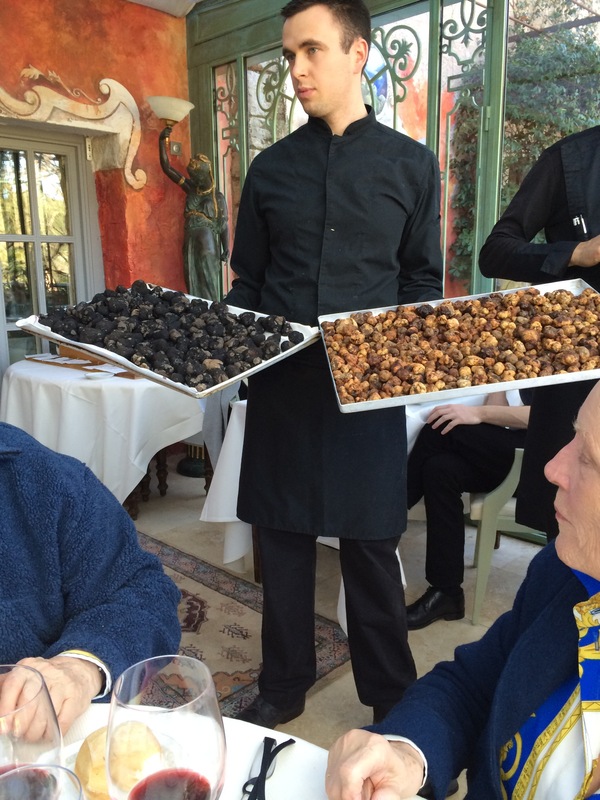 The nearby town of Aups hosts a truffle market every February. 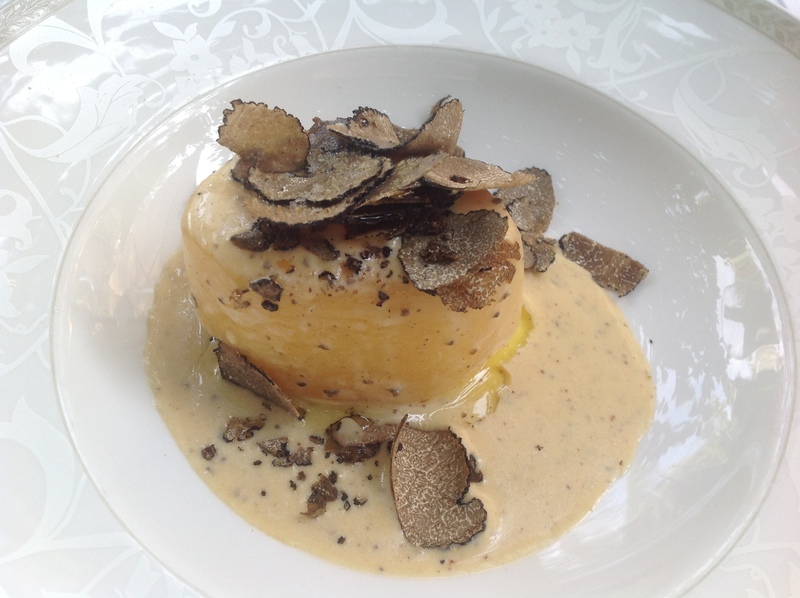 With truffles being the starring ingredient at Bruno’s, 50 to 100kg of these are used each week at the restaurant. Their flavour marry equally well with a creamy sauce or red meat, or even in the truffle ice cream. The wine selected will depend on the sauce, but the delicate earthiness when served with meat is perfect with a mature red wine. The wine list has a good selection of local Provence wines and wines from elsewhere. 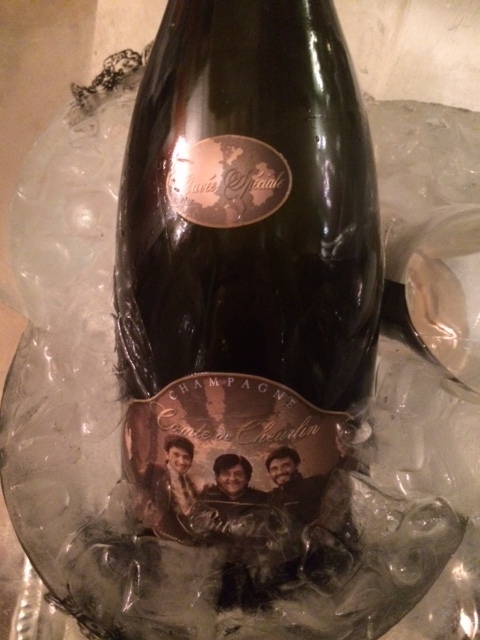 We have watched Clément Bruno’s sons Benjamin and Samuel grow up, running a bistro for a few years in Nice called ‘Le Diamant Noir’, and now taking over the reins of the restaurant following Clement’s retirement in 2014. Benjamin Bruno is now in control in the kitchen, giving his own individual twist to the restaurant’s repertoire of truffle-based dishes. Over the years, Lorgues has grown from a sleepy market town into an ever-growing bustling town, with one of the biggest markets in the Var every Tuesday morning. A ring road now sweeps through what were fields and vineyards, housing developments are spreading over the hills and the area has a thriving expat population both all year and for the holiday season. 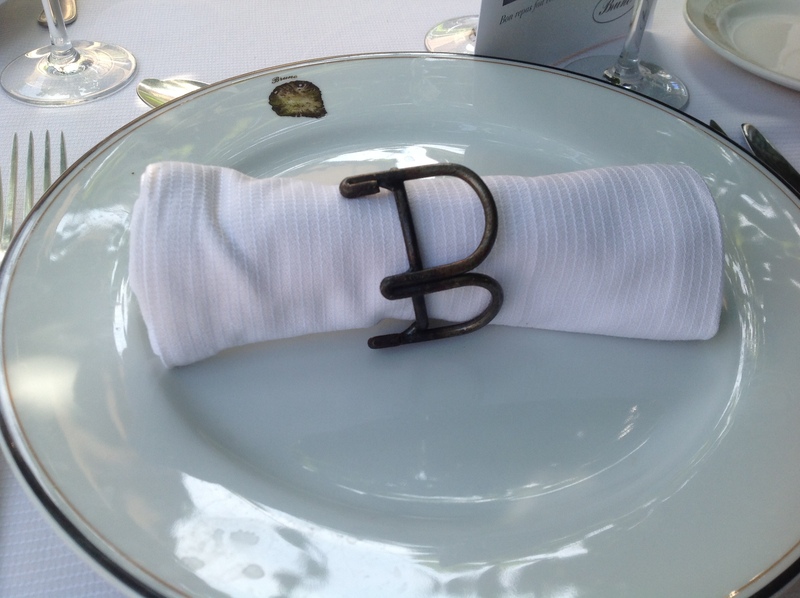 Bruno’s is no longer in rural isolation; the old farm now has garden centres, horse riding schools, vineyards and other business developing along the road nearby, but with sufficient land protecting the restaurant from encroachment, it feels quiet and remote once you have arrived. The restaurant itself has grown. A long formal drive leads to a spacious car park. Six bedrooms are available for guests, named after local grape varieties, a spa and pool, two wood-panelled indoor dining rooms, with a large fireplace – ideal for cooler evenings and winter meals, a large conservatory covered terrace – perfect for eating outside when needing the shelter – and an outdoor terrace, surrounded by a garden and pergolas with creeping plants for shade. Tables are widely spaced, allowing for pervading calmness; other guests’ conversations remain discretely private. Despite the recession, Bruno’s restaurant is invariably full. Many of the diners being famous faces and names gives an aura of international glitz to the restaurant. Style pervades – this is one restaurant where you can certainly indulge in dressing up in your best finery (or casually relaxed). 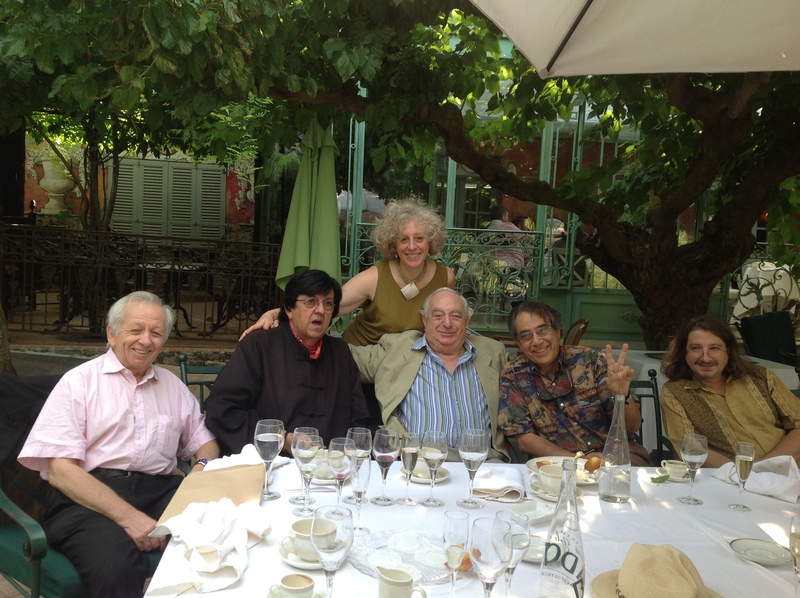 One of my favourite memories is a spring lunch when the sun came out in full force. 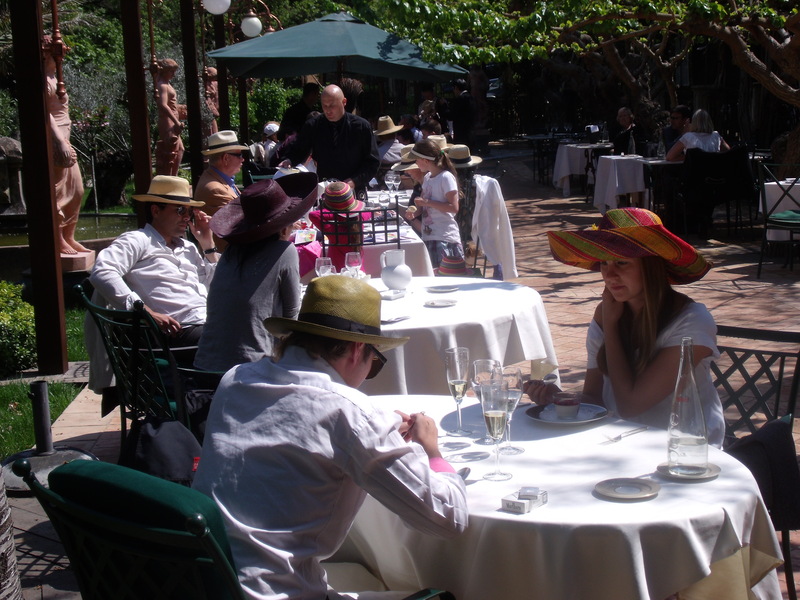 It was not yet hot enough to put parasols up and block the sun, but blinding enough to cause diners to squint at each other. With impressive style, the staff came out with a hat box of assorted, beautiful sun hats, which diners donned, everyone smiling at the imaginative touch, and Bruno’s took on the air of a garden party. Every visit to Bruno’s has felt special over the years. I love feeling like I am worth a million dollars, if only for the day. I love the style, elegance and charm of the place, where I can step outside of the normal rush of life. From the welcoming glass of Champagne to the coffee and petits fours, the meal is splendid. My cousin from America was amazed that each table had only one sitting per meal, was astonished that our reunion lasted six hours and no-one rushed us, that the staff all took their time to chat and to make us feel at home without any pretension. 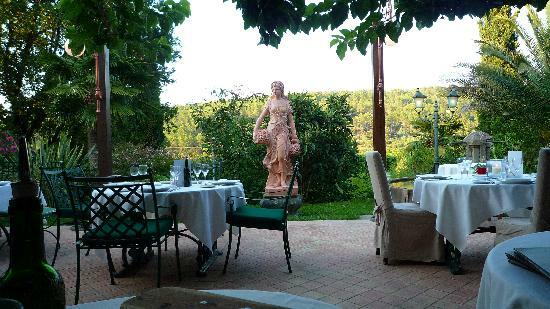 Last weekend we enjoyed the wonderful atmosphere at this amazing restaurant, when we celebrated my parents’ 60th wedding anniversary, welcomed with a magnum of chilled Champagne on a hot Provençal summer evening. Great article, which makes me want to go to Bruno’s and try the wonderful food. Sounds so delicious and a must go to resturant when in the area.